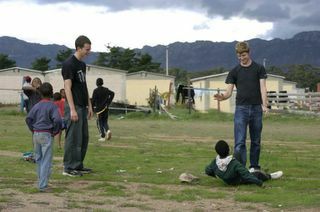 Tim & John playing with some of the kids in CNP. 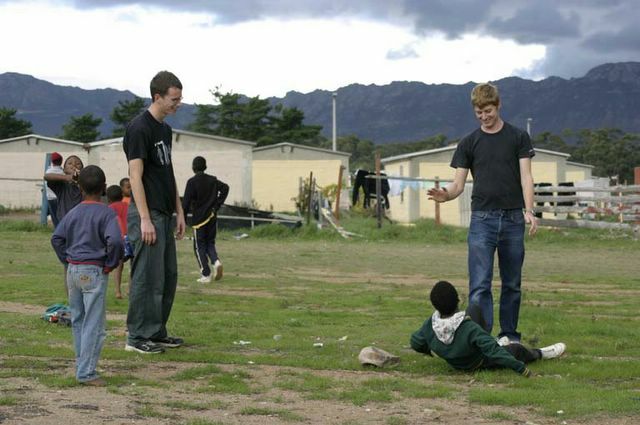 They had been playing rugby until the ball (on the floor slightly right of centre) gave up the ghost! Thanks for stopping by and leaving a comment, we really appreciate it! Anyone can comment and all comments will appear immediately with no word verification or other layers of nonsense, but please note we will delete anything inappropriate such as spam or profanity. In fact blogger seems to have a penchant for removing spam which often saves us the hassle.